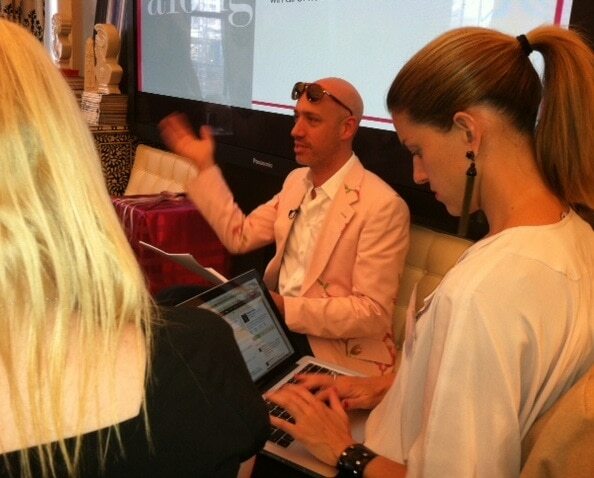 Last night, Audrey and I attended Robert Verdi’s Luxe Lounge Twitter Party. 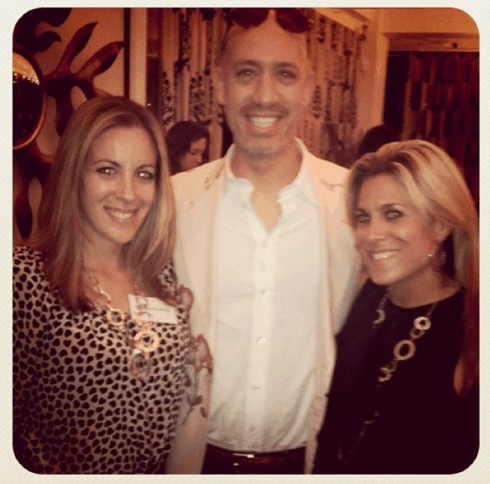 I’ve never had the opportunity to attend one of these functions – and BOY did I have fun. The event was centered around Mother’s Day and Robert chose around 10 presents to highlight as his favorites. The women (25 or so in the room) then tweeted out the news to their online followers allowing one of them the chance to win the entire night’s swag. 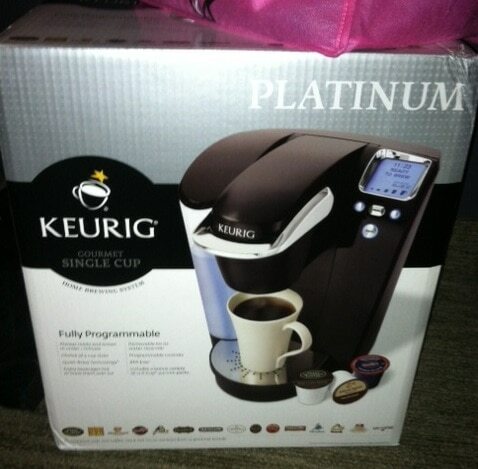 One of the items we walked away with is the Keurig Single Cup System. Unreal! 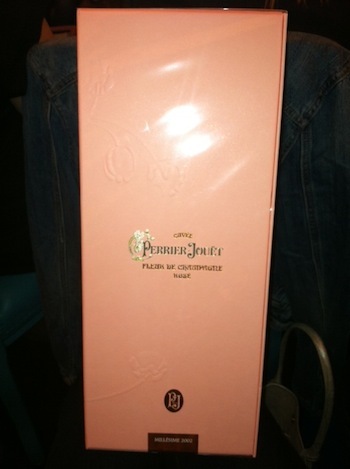 Another favorite was a bottle of Perrier Jouet. I sat there with my mouth open. I also kept tweeting to make sure that my Twitter friends were tweeting for a chance to win WIN WIN! If you want to watch the entire night’s festivities – click here to check it out. I have almost ordered an Edible Arrangement a bazillion times over the last year and always back out for some weird reason. Looks like you had a great time!